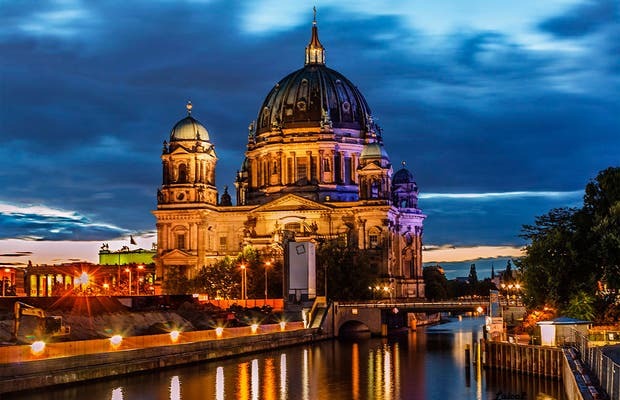 The "Berliner Dom" is a Lutheran Church and is located in Berlin Mitte, the place by the Spree River where this beautiful city was founded. It isn´t super old as it was built between 1895 and 1905 by the order of William II and designed by German architect Julius Raschdorff. This beautiful piece of architecture is considered to be one of the most important monuments of the city, along with the famous Brandenburg Gate and Museum. Like all of Berlin, bombing heavily damaged the building. Since rebuilding this was not a priority, its repair was postponed until 1975 when it was partially rebuilt. In 1993, after achieved reunification, it was rebuilt in its entirety with its original, beautiful appearance. Something curios for my was that this is a protestan cathedral... and if you go to the top, you will see an amazing view of the city of Berlin.